On Friday November 2 we celebrated Sejiki, which we time to coincide, more or less, with Halloween. 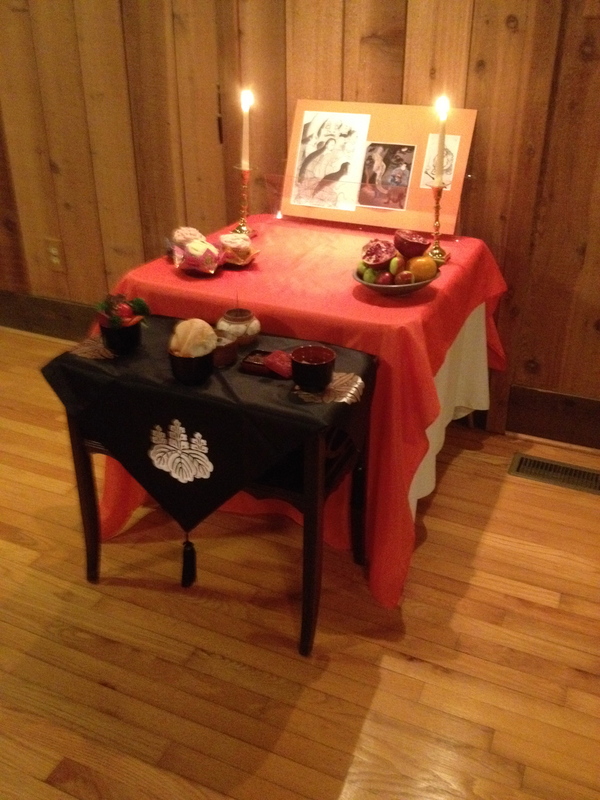 During this ceremony we chant the Kanromon, or Gate of Sweet Dew, after attracting the attention of spirits (ancestors, but not only – we include our own neglected states of bodymind) with three rounds of instrumental sound. 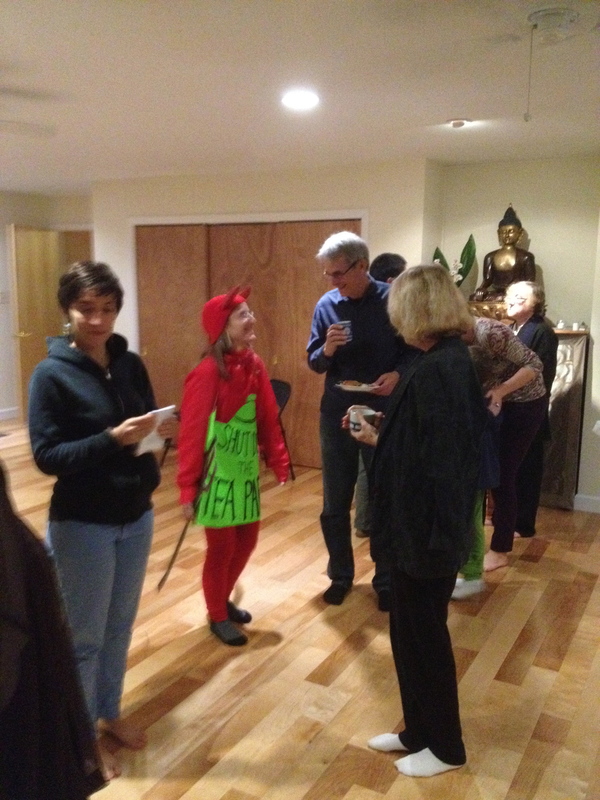 While the chanting is going on, the officiant offers food to satisfy the hungry ghosts. The ceremony includes reading the names of everyone we have done a memorial service for all year, and includes names of other persons and beings which we receive for the ceremony. This year’s list was long, a full page. Thanks to Bryan Weiner for two of the photos here. After the ceremony we have refreshments ….